High End Home Theater Wireless speakers option - Soon ! WELCOME! We have more than 20 years experience in designing, developing, and manufacturing high end home theater speakers, stereo speakers & audio products. Our newest product , wireless speakers solutions, being a CES Innovations honoree. 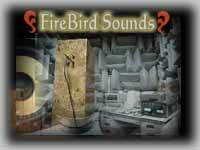 Our brand names FBS (Firebird Sounds) and Phoenix have been well received and recognized among various international trade shows, magazines, and audio enthusiasts since 1992. Now we are selling our home theater speakers & home audio products direct through Home Theater 2U.com. By selling directly through the internet, we can offer high end home speakers at low prices. We are so confident with the unsurpassed sounds & craftmanships of our home theater speaker & stereo speakers that we even offer a Risk-free Trial and 5-year Warranty! Browse Below and you will love what you find ! Slim Modern Design with Big System Sounds. Unsurpassable Sounds with Unparalleled Craftmanship. with Prices from an Angel. Shipping Charges of speakers are based on the dollar amount of your order and range from $5 to $50. 2nd Day Air is available at higher rates. Copyright (c) 2003-04 HOME THEATER 2U. COM., E Direct International, LLC. All rights reserved. All prices and descriptions of speakers & products are subject to change without notice. Thanks for your awesome response! Our New Exquisite Collections of Home Theater Speakers & Wireless Speakers at CES 2005 exhibition was a wonderful success! We are so excited about our new lines of high end wireless speakers & wireless products, we can't hide the news anymore. These applications utilize state of the art digital wireless technology combined with highly efficient super compact amplifiers that provide a performance good enough to satisfy audiophiles. We have prepared special discount prices for the high end home theater speakers and equipments from the CES show floor in our"SPECIALS" Section. Enjoy our Home Theater Speakers & Wireless Speakers!